Sweatshirt Seamless cotton/Lycra® rib crew neck, ribbed hem and cuffs. Twin needle stitching detail on armholes, neck and hem, 80% cotton 20% polyester. 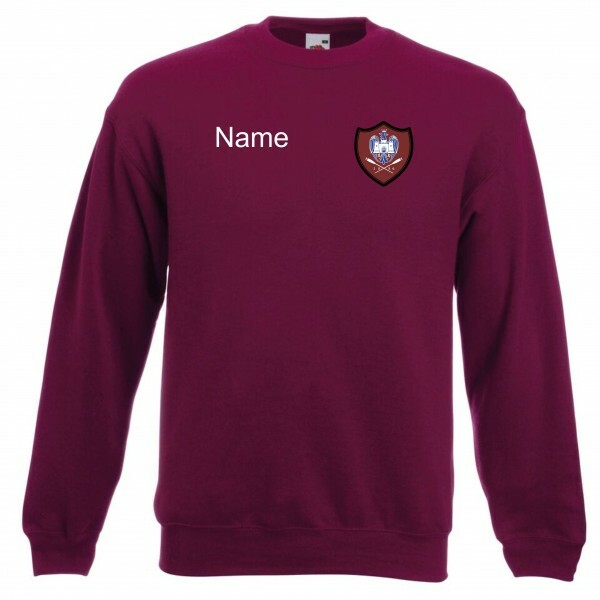 Available in Navy blue or Burgundy, embroidered club logo and name or initials and print to the back. S - 36/37" M - 38/40" L - 41-43" XL - 44/46" 2XL 47/49"
Sweatshirt Seamless cotton/Lycra® rib crew neck, ribbed hem and cuffs. 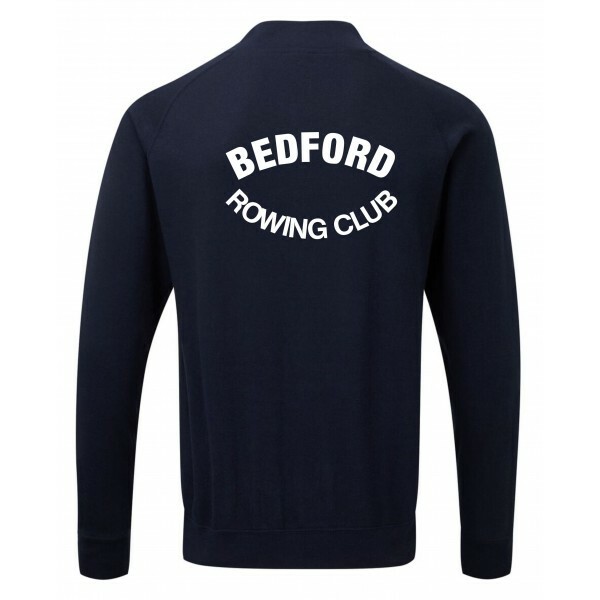 Twin needle stitching detail on armholes, neck and hem., available in Navy blue or Burgundy, embroidered club logo and name or initials and print to the back.